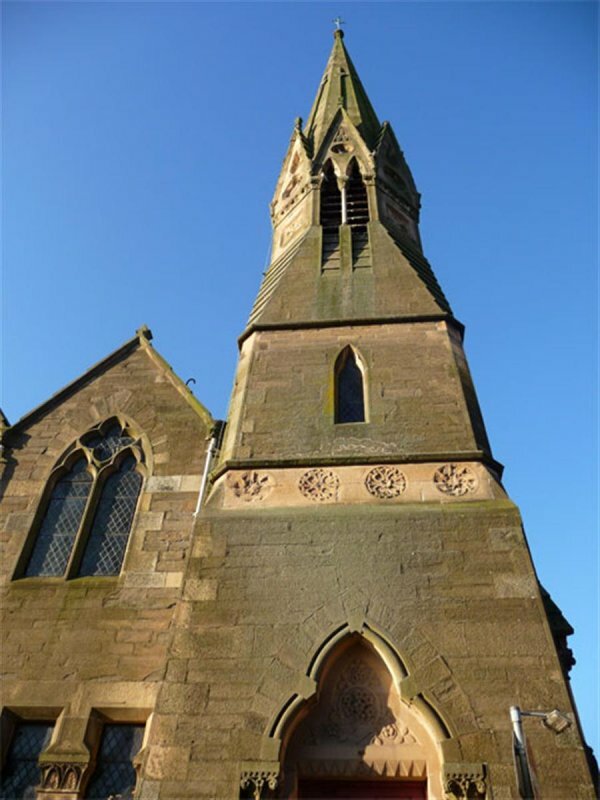 Muscular gothic church with steeple, basement halls and vestry to S. Ashlar, with lighter stone bands and details. NE corner tower and spire: doorway to Shepherd's Loan within pointed cusped arch on nook-shafts with stiff-leaded capitals. Carved tympanum. Memorial to Rev R M McCheyne in granite in gabletted niche to N.
20 September 1999: The Dundee Courier reports that the church's congregation is to merge with that of Roseangle Ryehill and the church is to close. 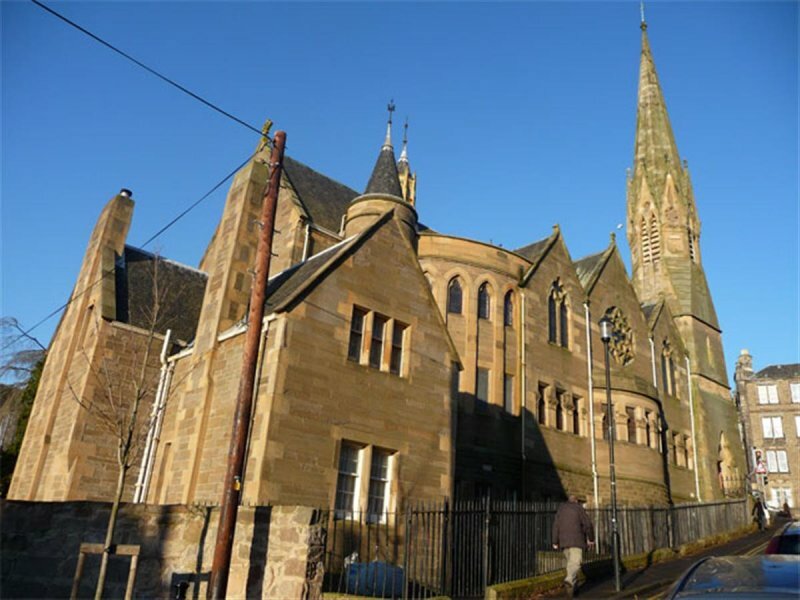 The church is subsequently sold by the Church of Scotland to a private individual. 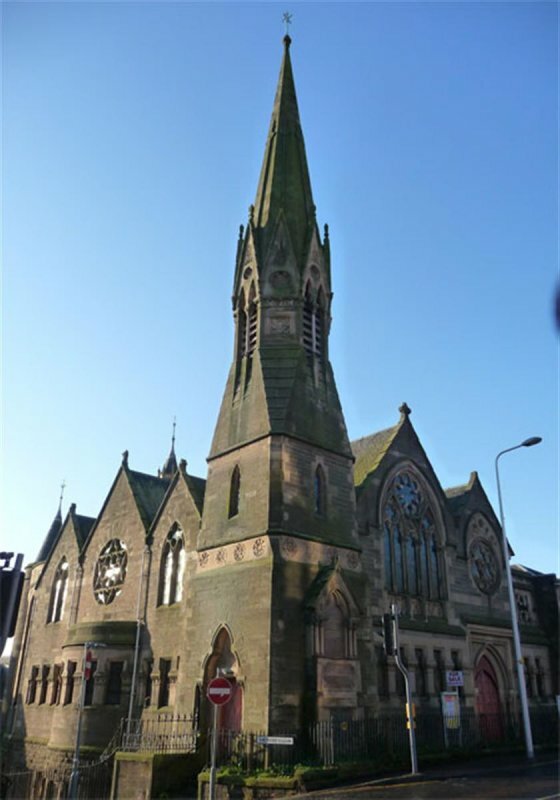 December 2000: The removal of war memorials to Dundee West Church (formerly Roseangle Ryehill) is approved. January 2001: Listed Building Consent is sought for the removal of the front pews and the organ, with a view to possible conversion as a lecture theatre. February 2002: Consent for removal of items is granted. 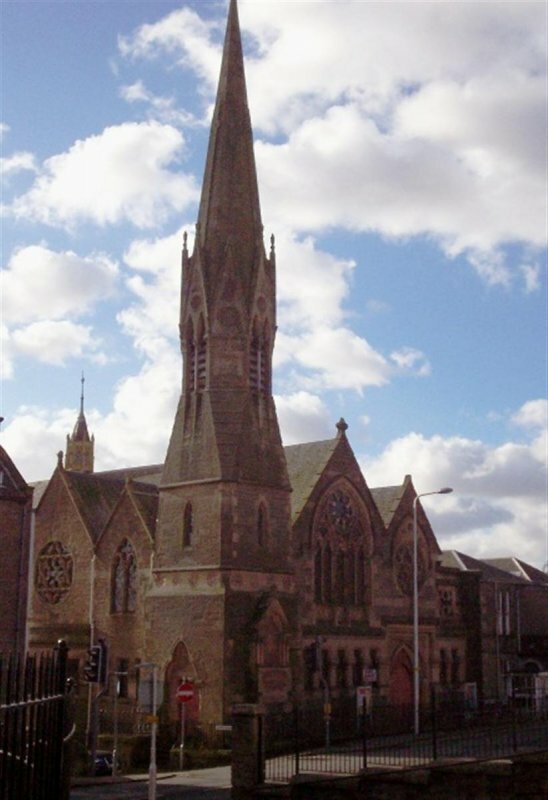 7 March 2002: The Dundee Courier reports that an application to convert the church into a public house has been submitted, after revisions. 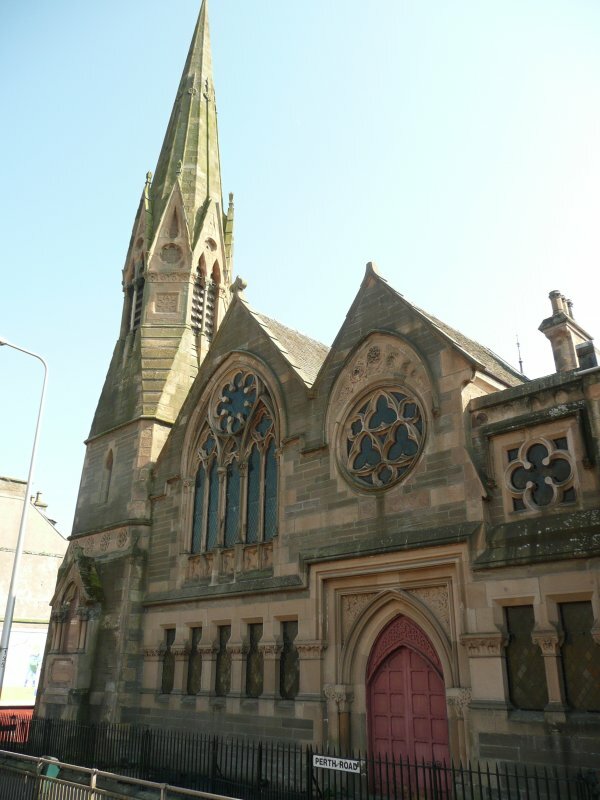 Dundee West End Community Council is opposing the plans, lodged by J. D. Wetherspoon plc. Plans are subsequently withdrawn (ref: 02/00197/LBC). May 2003: Local planners report that a conversion scheme is being prepared, although an end user remains to be identified. September 2004: Local planners report that there are growing concerns over the condition of the roof as a section of ridge flashing has been dislodged, potentially allowing water ingress. The building remains at risk. November 2004: Local planners report that they and Historic Scotland have met with the new owner Mr Aziz. Works to eradicate dry rot in the hall to the rear have commenced. September 2005: Local planners confirm details of owners and that the building remains vacant and at risk. January 2009: External inspection reveals that the church is vacant and for sale. Aside from the section of ridge flashing missing to one portion of the roof and a small amount of damage to the windows, the church appears to be in a fair state of repair. February 2010: External inspection finds the church to remain disused. Externally, it appears to remain in fair condition. A few of the small panes of glass are broken. The area in front of the church is becoming overgrown. The "for sale" sign seen in Jan 2009, remains. December 2011: A member of the public advises the church suffered damage during a severe storm on 8/12/2011. A large masonry cross fell from the front elevation onto the area bounded by railings narrowly missing the pavement on the Perth Rd. 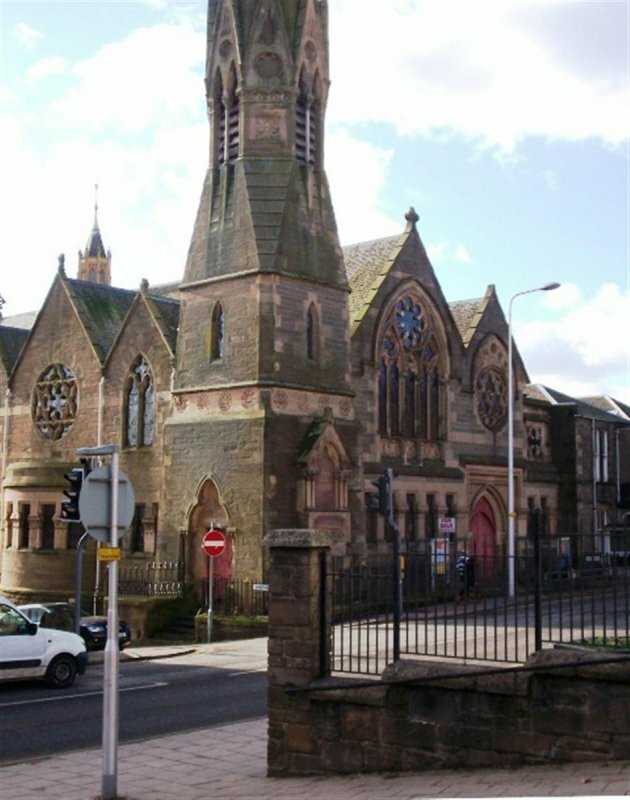 January 2012: The Courier reports the current owner of the former church has a long term plan, subject to securing the necessary consents, to convert the building into a single dwelling. The article notes that some internal repairs have been carried out following a burst mains pipe at the site. 27 November 2012: Local planners report the current owner has repaired and converted the vestry into a holiday home. There are no current plans for the rest of the church. 11 May 2016: External inspection suggests the building remains in much the same condition as seen previously. Green algae growth beneath downpipes to the Shepherd's Loan elevation suggests rainwater goods may be leaking. 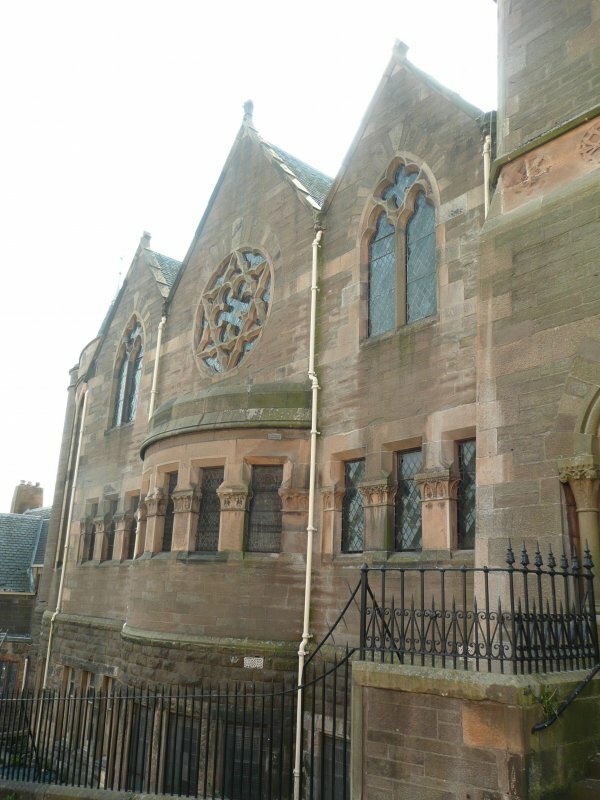 Sections of masonry elsewhere appear damp, notably the section around the memorial, to the Perth Road elevation. The surrounding ground has been cleared. McKean and Walker (1993), p88.